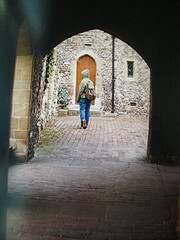 of the library at Canterbury…Shannon had embroidered “all who wander are not lost” on her green canvas backpack. *i’ve updated the Year in Books List. we’re current through October.